Conducting a thorough pre-trip inspection allows the driver to catch any problems before heading out on the road. Similarly, post-trip inspections give the shop time to react to any problems that were identified and to fix them before the driver heads back out on the road. 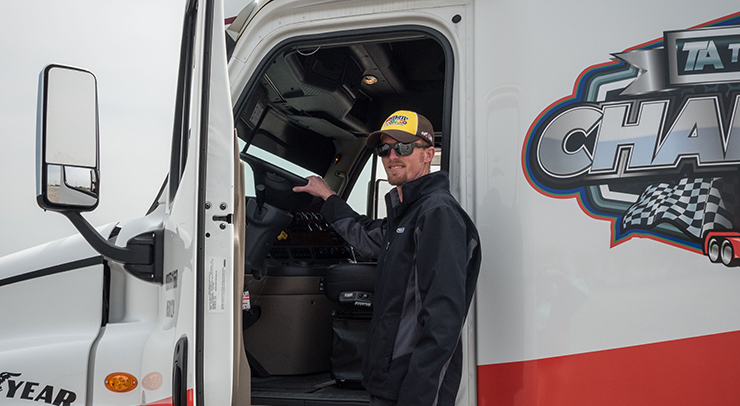 It’s important that both fleets and owner-operators conduct consistent pre and post-trip inspections focused on (at a minimum) the following areas. Pay close attention to the vehicle’s service and parking brakes. Check for air leaks, chaffed hoses, worn out linings and make sure the compressor is operating properly. All brake components, such as brake chambers, must be in place and functioning correctly. Tires must have at least 4/32nds on steering axles and at least 2/32nds in all other positions. They should also be properly inflated and safely mounted on the vehicle. Check tire rims to ensure they’re free of cracks. Check all safety equipment, including fire extinguishers, triangles and spare fuses. In the event that a driver is unresponsive and an emergency responder is trying to locate the fire extinguisher, it’s crucial that it is in the proper place and easy to find. In the shop, we sometimes find fire extinguishers mounted in the wrong location, which should be corrected before every trip. The fifth wheel, or hitch system, must be securely attached and free of any excessive wear. The trailer kingpin must be latched properly in the jaws of the fifth wheel. Be sure to also check that your safety chains are attached properly and in good condition. Other important parts of a pre-trip inspection include steering components, lights and reflectors. These components should all be in their proper place and operating as intended by the manufacturer. You should also make sure your truck’s horn works and your windshield wipers are in good working condition. It’s important to remember that there are many different kinds of trucks and components in each vehicle, and drivers must know how to properly inspect the vehicle they intend to operate on any given day. While brakes, tires and safety equipment are certainly the top areas of concern, all of these components are essential to the safety and performance of commercial motor vehicles. 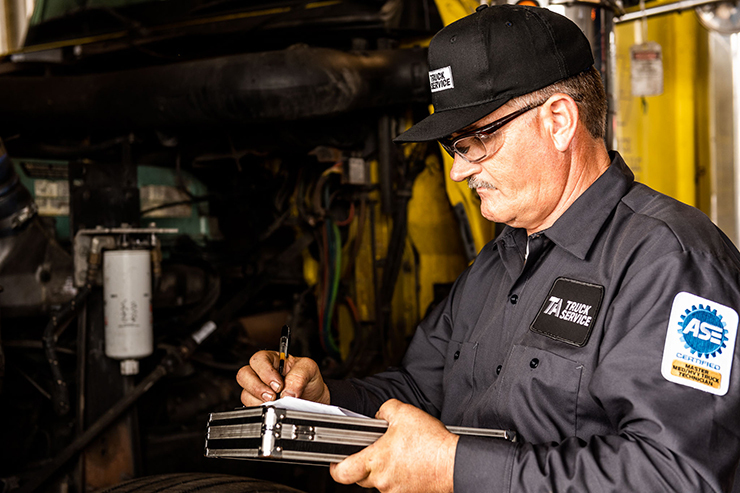 At TA Truck Service we understand the importance of pre and post-trip inspections, and our certified technicians are here to help you fix any issues you find on your vehicle during your own pre or post-trip inspection. We can all work together to keep the highways safer by performing routine pre and post-trip inspections. If you find any defects or need any assistance, your nearest TA Truck Service location can get you back on the road quickly and safely.